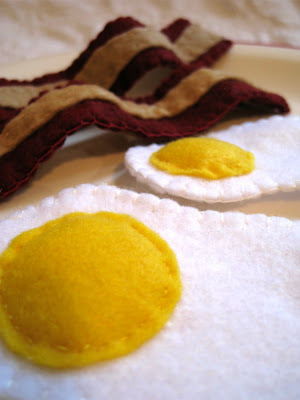 Here is your next installment... Bacon and Eggs! 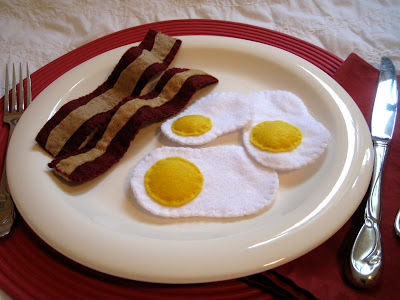 Look tasty? Well, these come all the way from North Carolina. Really. I made them on my visit to see the Tudors... And I got some mighty strange looks on the airplane ride, I tell you. See, I suffer for my art. Heh. Next up? I think I need some toast or pancakes with this! Alright, that's it. 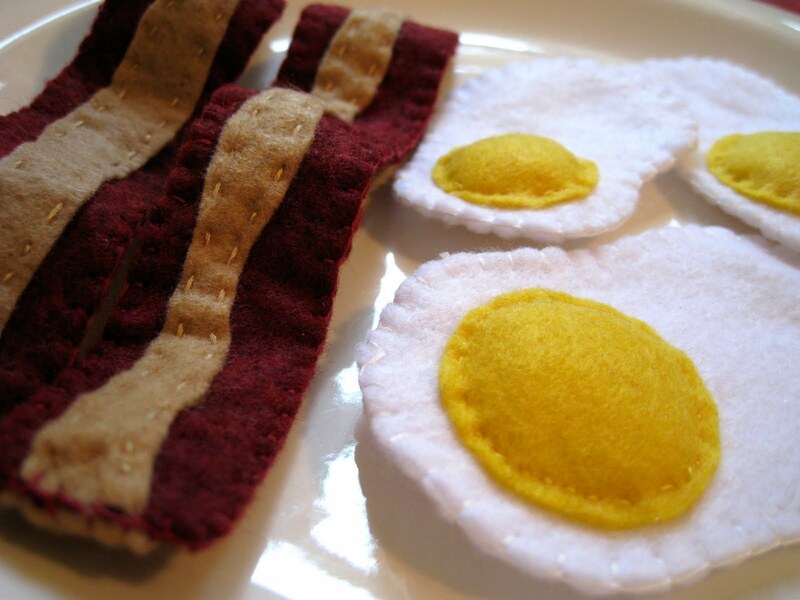 You have officially inspired me to try my hand at felt foods. I don't know how well I'll fare, but I'm going to give it a shot. The bacon? Genius! Well done, lady! Thanks Nikki! Let me know if I can help out any, okay?